Major Lazer’s Walshy Fire! Dusk Nightclub 7/17 Atlantic City – $10 Admission Guestlist! 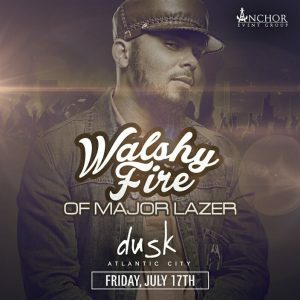 Source: Major Lazer’s Walshy Fire $10 Admission Guestlist!